Full range membership price list. If you’re a serious shooter, you can enjoy the range at a consistent, flat rate by becoming a member with Chris Indoor Range & Gun Shop. Individual and family memberships include spouses and children under 18. 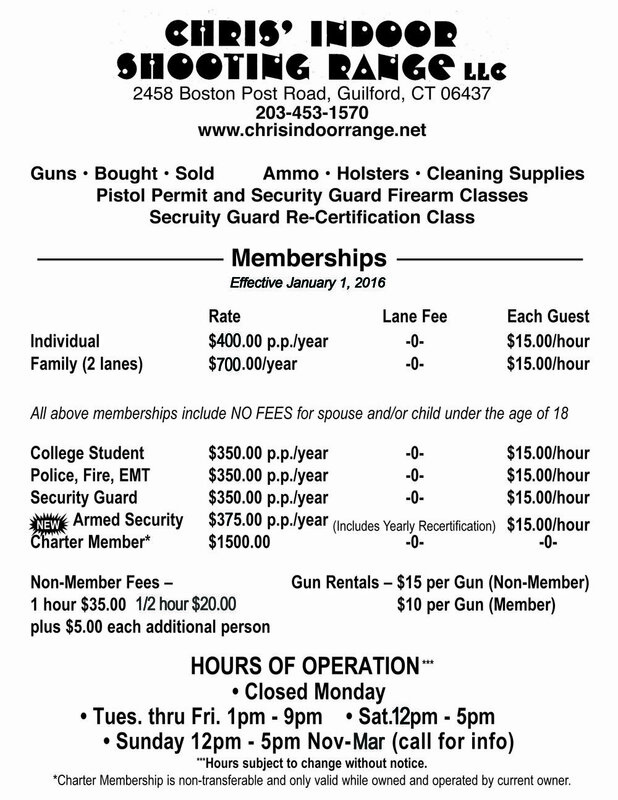 As a member, you can also enjoy the convenience of buying and using a gun in the same building. We are here to guide you to the right gun that suits your needs. Chris specializes in assisting you with the selection of your first gun. You won’t have to worry about the weather or daylight because our range is climate-controlled and located indoors. You can shoot when it’s dark or raining!